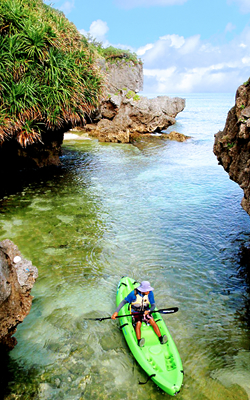 A sea kayak is a type of canoe, which is a general term for a small paddling boat. It uses a paddle with blades at both ends for moving and steering. There are various types of kayaks, but this is the type you will use on our adventures. The Malibu Two is a kayak for two adults, but a small child can be seated in the center. It is constructed from extra-durable plastic, making it stable and safe to use. 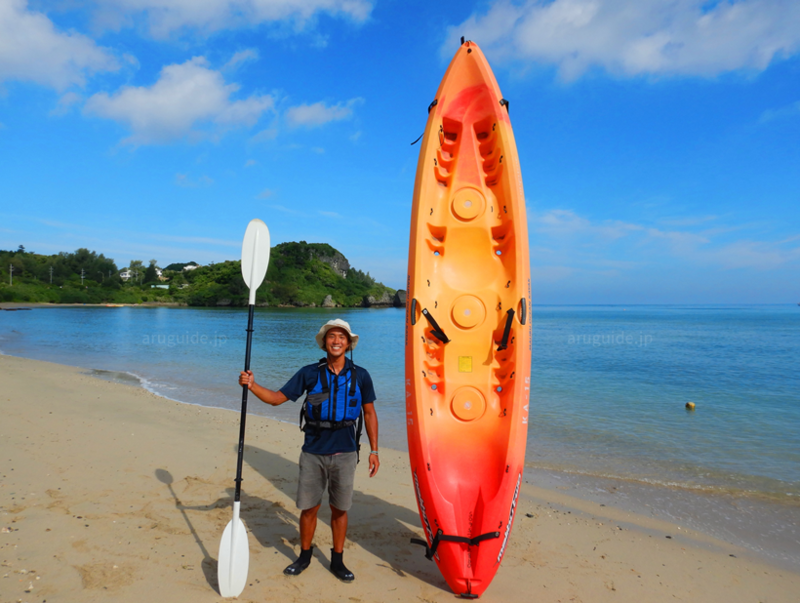 You will quickly find out how easy this kayak is to paddle, even if you are not experienced in kayaking. If the sea is calm, you will be amazed to discover how close you are to the surface of the water when in a kayak. You can often see tropical fish swimming alongside your kayak. The kayak used on our adventures is compact and under 4 meters in length, allowing us to move through whitewater (shallow water) easily. You can move between the rocks in the sea and enjoy thrilling views of cliffs. 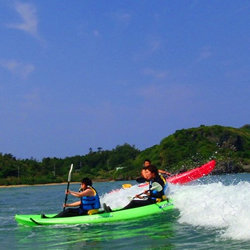 Not perfectly calm, our sea kayaks will keep you stable, safe and relaxed. Their buoyancy, handling and overall safety make them ideal for even inexperienced paddlers.